! One of the worst aspects of replacing a factory radio is potentially losing your steering wheel radio controls. 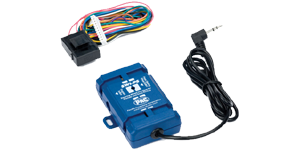 However we offer interfaces for just about every make and model vehicle to allow you to keep those controls when adding an aftermarket unit.